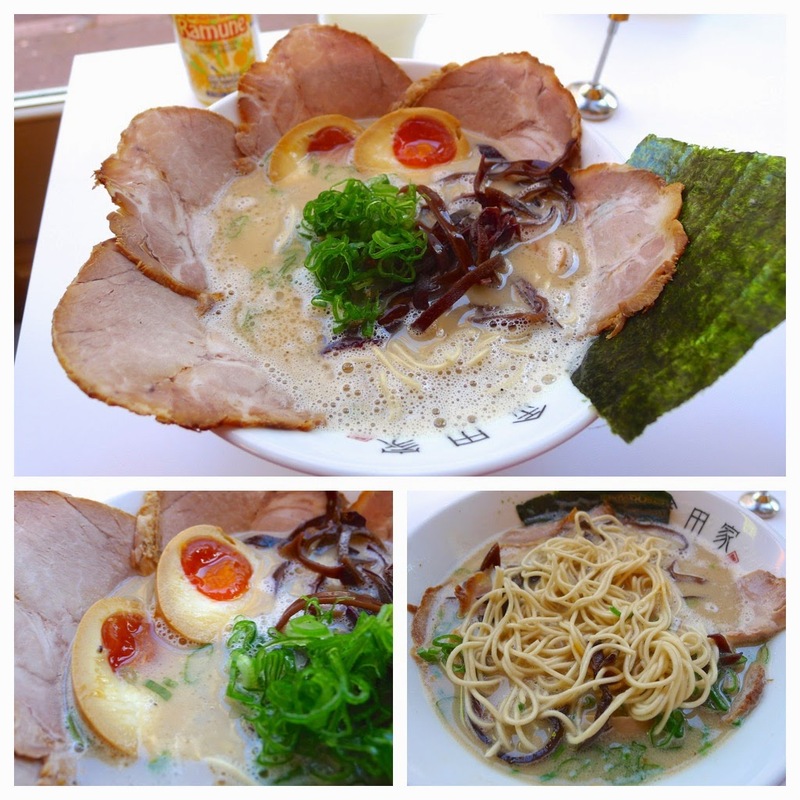 It’s easy to come across geeky when discussing ramen - I could witter on for ages about the different types of broth or the processes and length of boiling time involved in producing the perfect ‘tonkotsu’. The desired thickness, consistency and springiness of the noodle is another point up for a potentially lengthy debate… after that, I could get started on the toppings! To avoid coming across as a bigger food geek than I already do, I’ll simply describe ramen as ‘noodles and stuff in a broth’. What noodles, what stuff, and what broth is, of course, entirely down to choice. My preferences are: a thick, creamy tonkotsu (but not too thick or creamy), which needs to be served blisteringly hot; a firm springy noodle and I will always add egg if not included. 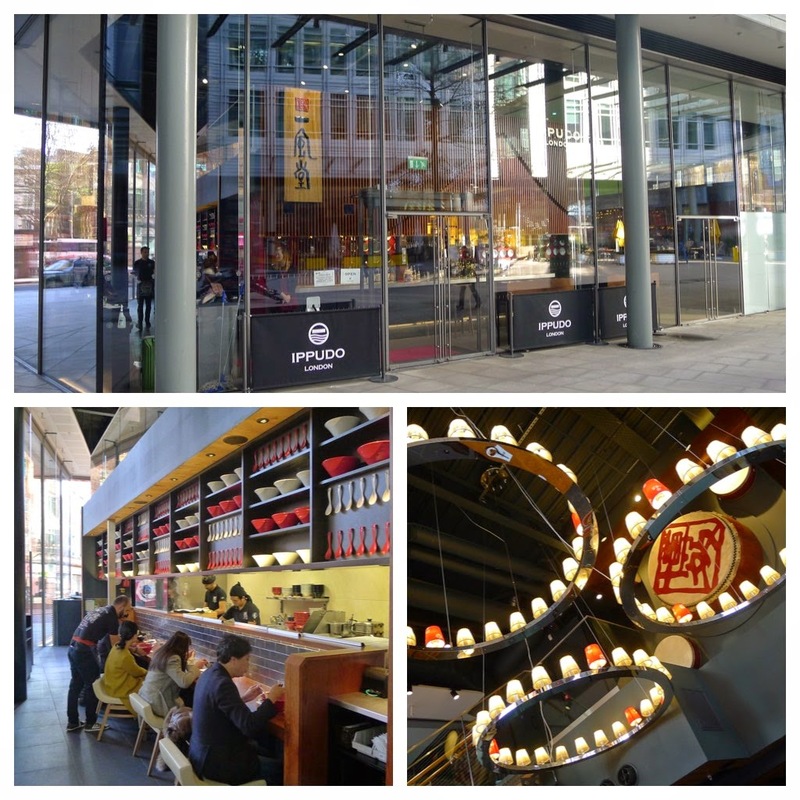 Over the last couple of years the availability of good ramen in London has increased considerably – two of the newest and best places to have opened are Ippudo and Kanada-Ya – conveniently located opposite each other on Saint Giles High Street. As well as topping over 80 stores in its native Japan, Ippudo is a rapidly expanding international chain. I have visited branches in New York, Kuala Lumpur and Singapore but this is their first opening in Europe. Don’t let the fact it’s “a chain” put you off… they serve good stuff! 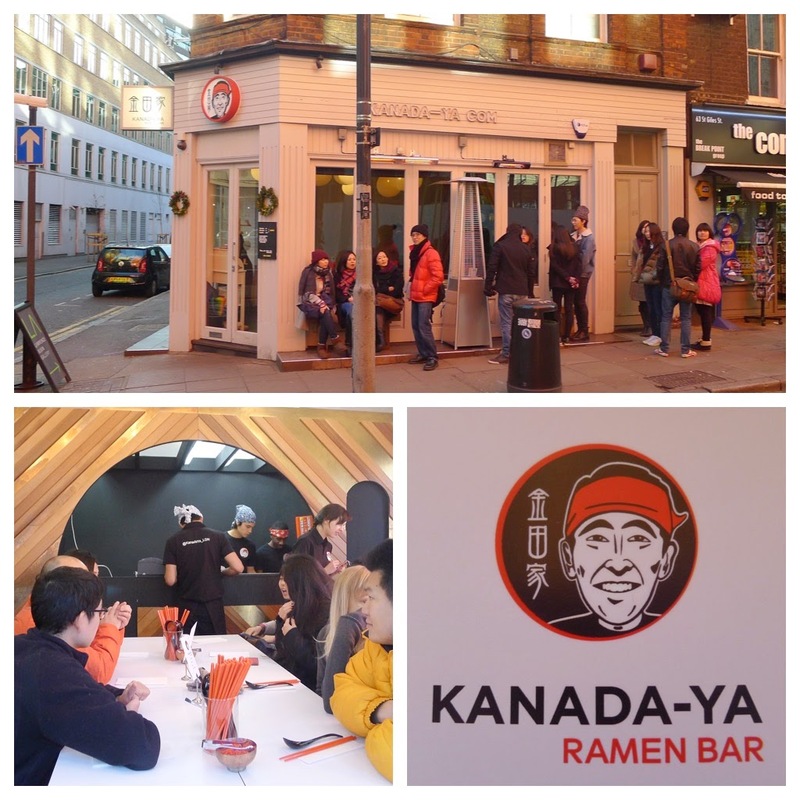 Also authentically hailing from Japan, Kanada-Ya is a smaller operation; both in terms of the number of branches and their set up - one thing about Kanada-Ya is big… the queues! These seemingly perpetual queues from opening to closing are partly made by only having 24 tightly packed covers but also by the quality of the ramen on offer. At Ippudo I ordered the Shiromaru Kakata Classic, which consists of a Tonkotsu pork ramen broth with noodles, pork loin chashu, sesame kikurage mushrooms, bean sprouts and spring onions. I also upgraded to the pork belly chashu and added a seasoned boiled egg. 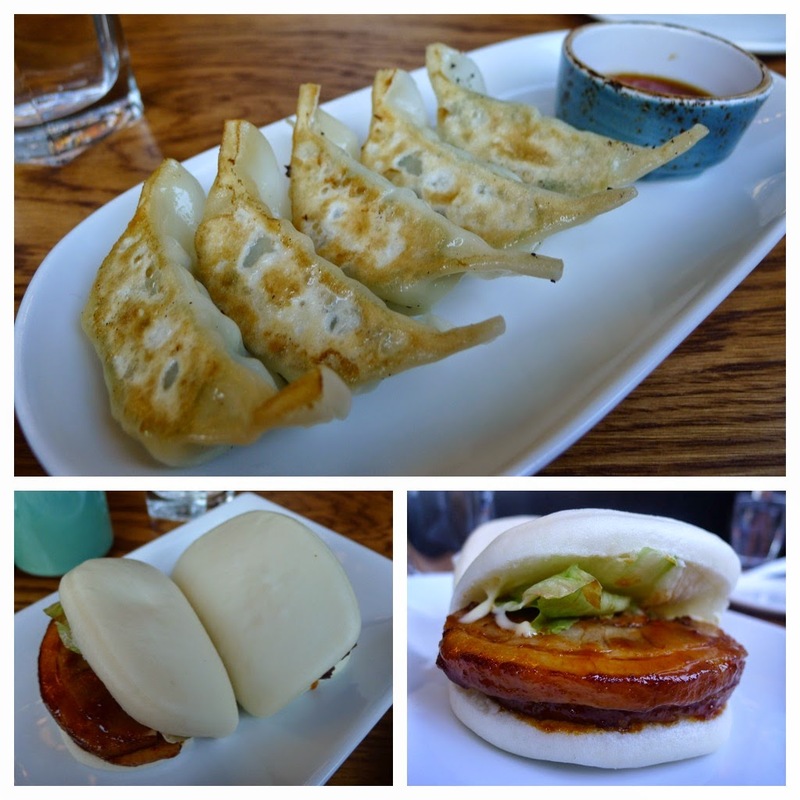 A portion of chicken and vegetable Gyoza with a soy and vinegar dipping sauce and a couple of pork filled ‘Hirata Buns’ completed my lunch. Arriving at Kanada-Ya just before they opened I joined a queue of about a dozen or so people (this soon got way longer). As such, I made the first sitting as they opened the doors. 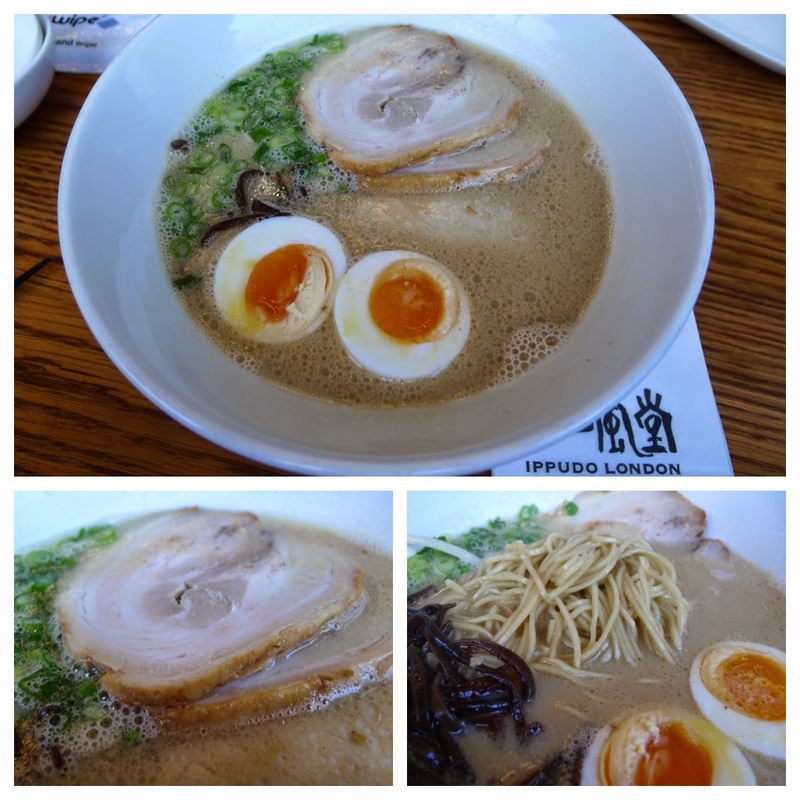 Orders promptly taken, I was soon tucking into a piping hot bowl of their Original Ramen – this consists of an 18 hour pork bone broth, pork belly chashu, wood ear fungus, nori and spring onion. Of course, I also added the seasoned boiled egg (hanjuku egg). One thing I particularly like about Kanada-Ya is the option to choose to have the noodles cooked “soft, regular, firm or extra firm”. I ordered firm and was happy with the texture. I will joyfully visit both again when next visiting London but, if you’re wondering, I prefer the experience and ramen in Kanada-Ya. 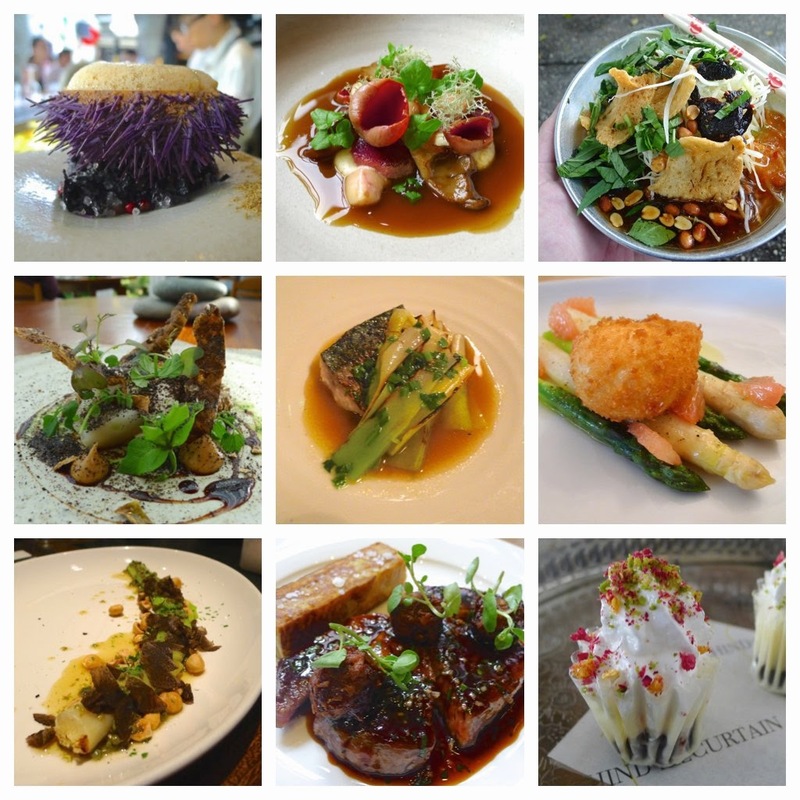 So why not just do a run down of the my ‘Top Ten Dishes of the Year’… but then could I really keep it to only ten? The upshot: I’ve ended up with something in between… whatever it is, it all tasted bloody great… 2015 will be a good year if I eat food even half as good! 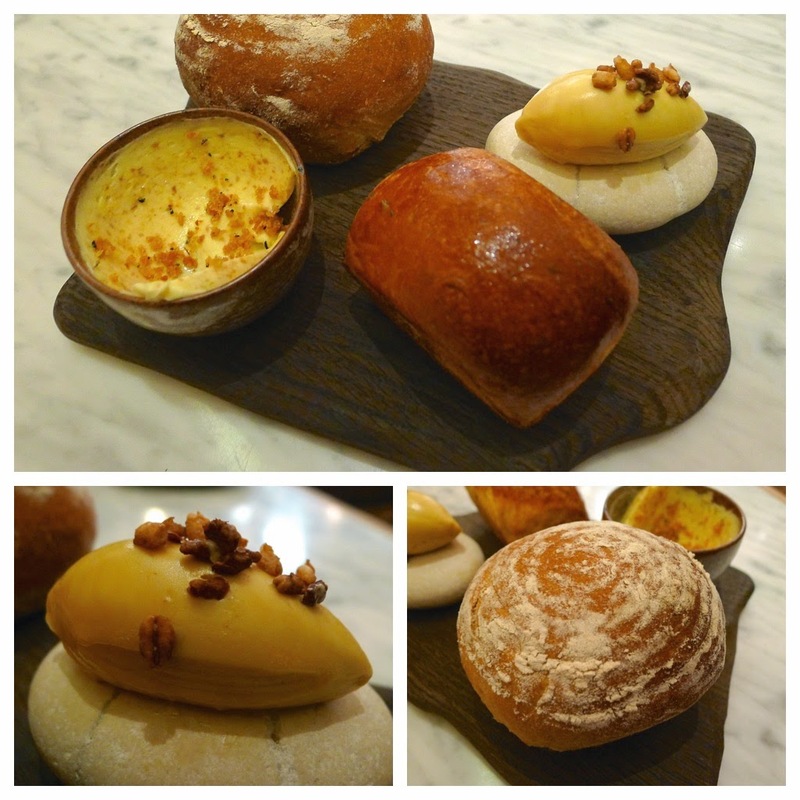 Breads @ The Typing Room (original post) – as a paniphile, good bread is often a highlight of my meals. I’ve had some great sourdough this year but the marmite butter swayed it for the Typing Room. 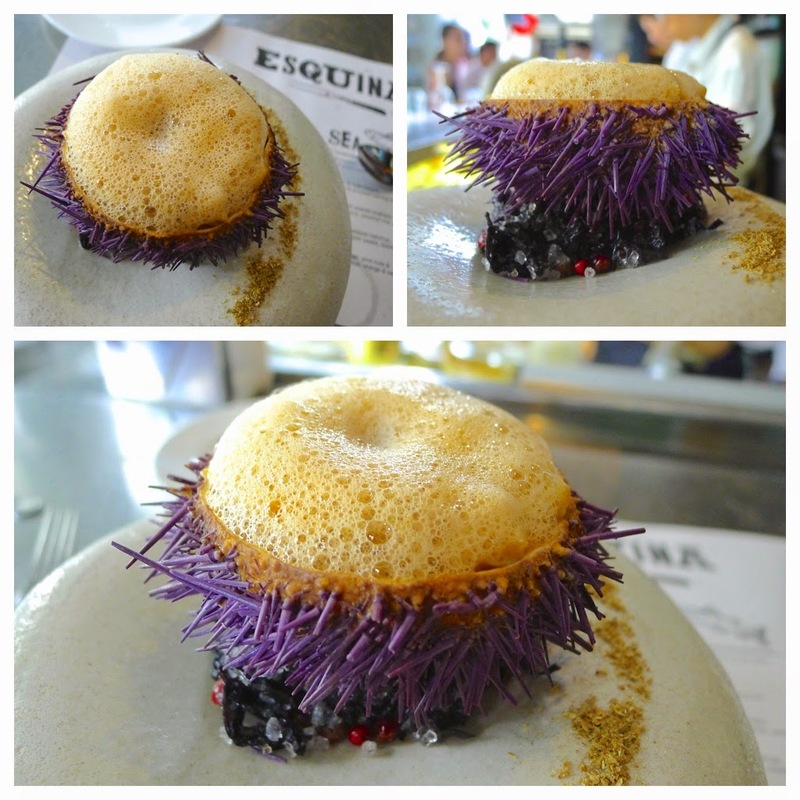 Sea Urchin & Crab Bisque, Sea Grapes & Smoked Herring Roe @ Esquina Tapas Bar (original post) – helmed by Chef Andy Walsh, Esquina is one of Jason Atherton’s Singaporean outposts. 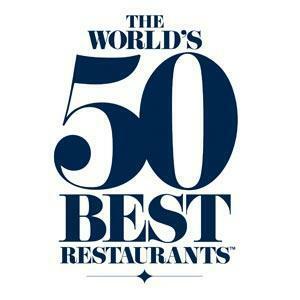 It’s one of our favourite places to eat and gets better with each visit. 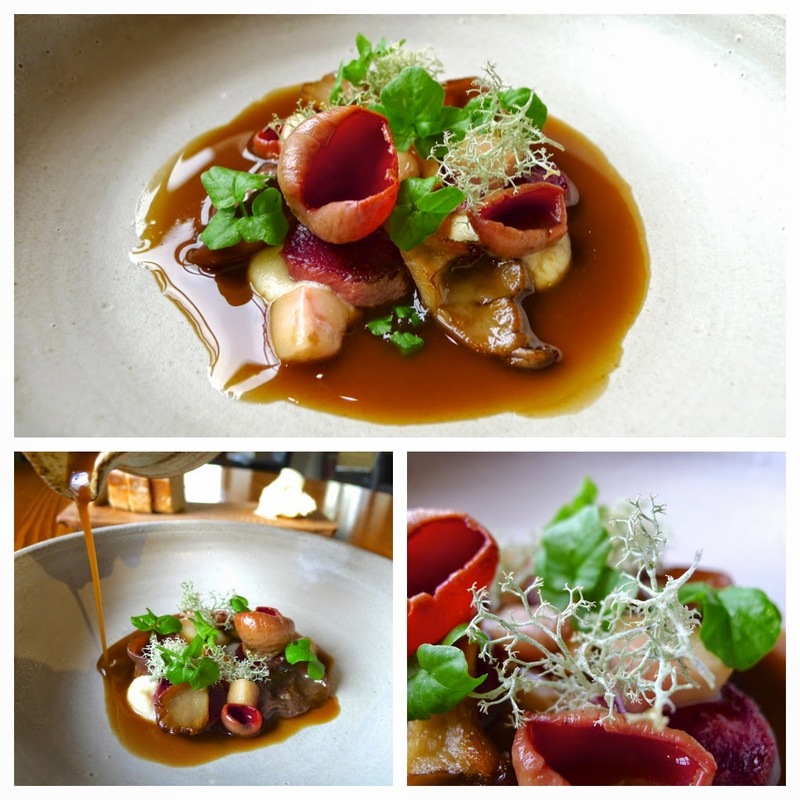 Broth of mushrooms, roasted tongue & smoked bone marrow @ Rogan & Co. (original post) – I had this delightful dish at Rogan & Co when Chef Kevin Tickle was in charge; in 2015, he will be Head Chef at the new Forest Side in Grasmere… certainly one to watch! 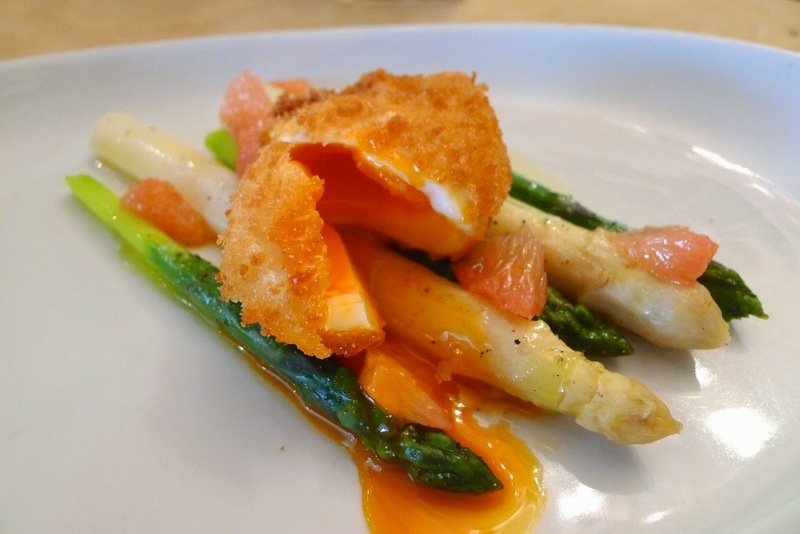 White & green asparagus, pink grapefruit, crispy hen’s egg @ Sticky Walnut (original post) – the reasons for this dish’s inclusion are simple… I love white asparagus, I love grapefruit and I love Sticky Walnut. 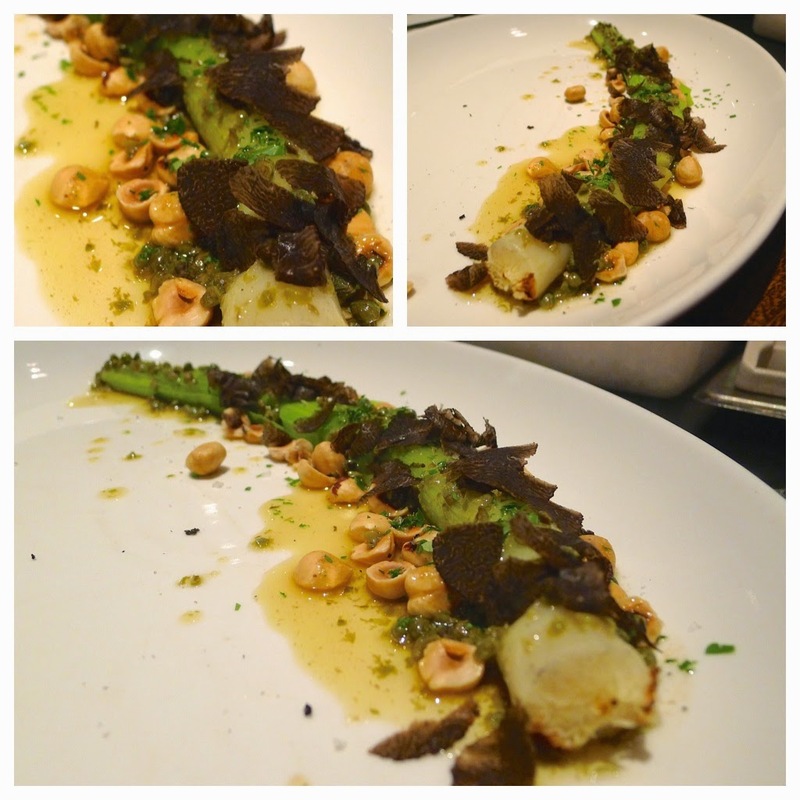 Leek, Hazelnut & Brown Butter with Black Summer Truffle @ Burnt Ends (original post) – with the amazing meat dishes at Chef Dave Pynt’s Burnt Ends it seems churlish to select a veggie option but this dish exceeded all expectations whereas we knew the meat would be brilliant. 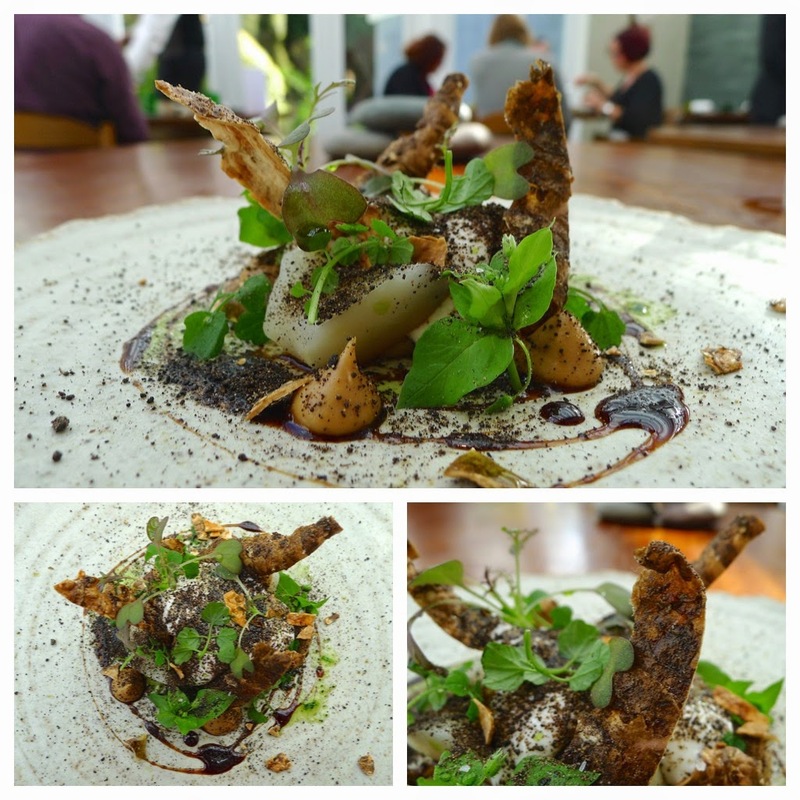 Artichokes with goat’s cheese, tarragon, stout vinegar & malt @ L’Enclume (original post) – the heart of this dish has been on the menu at L’Enclume in various guises for some time but, for me, the recent addition of stout vinegar took it to another level. 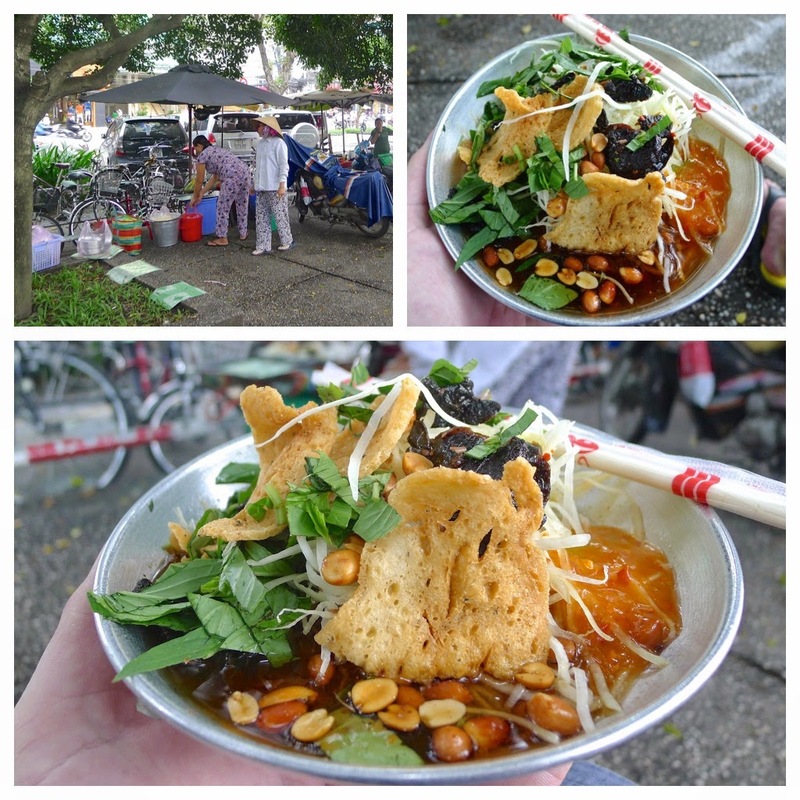 Gỏi Đu Đủ (papaya salad) @ entrance to Lê Văn Tám park (original post) – I had some great food during my visits to Vietnam but the memory of sitting on a small wall by the entrance to Lê Văn Tám park, tucking into a plate of freshly prepared papaya salad is without doubt one of my most enduring food memories of the year. 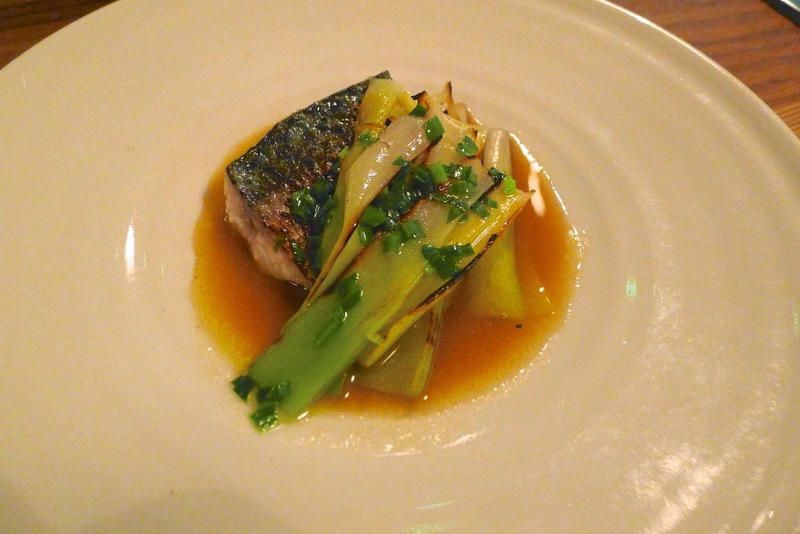 Mackerel & Leeks @ Lyle’s (original post) – I love the ‘uncomplicatedness’ of Chef James Lowe’s food but no matter how unassuming something appears on the plate, there is never any compromise on flavour. Line caught mackerel with gooseberries, lemon & mustard @ House of Tides (original post) – with this dish Chef Kenny Atkinson made it to the Great British Menu banquet and I can see why; bold citrusy flavours, right up my alley. 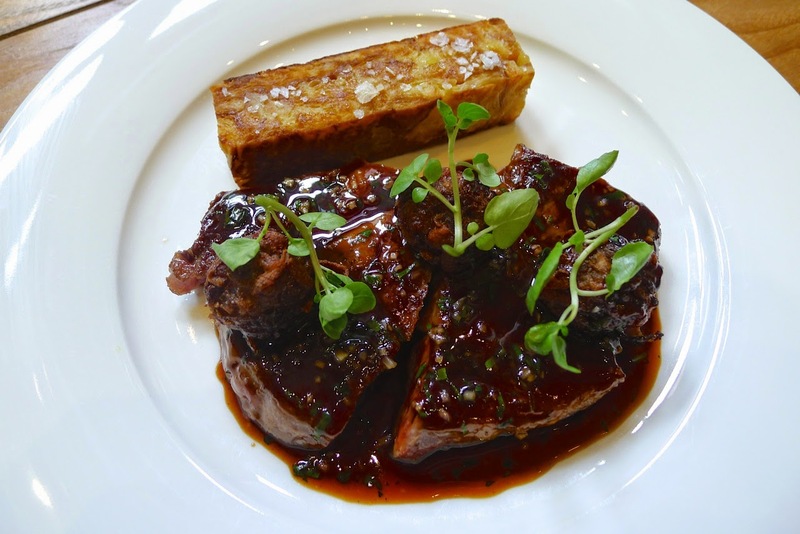 Cumbrian rib steak, truffle pudding & purple potato latkes @ Mr. Cooper’s House & Garden (original post) – thinking back over what I’ve eaten, very few meat dishes ‘stand out’ with many places serving variations on a theme. 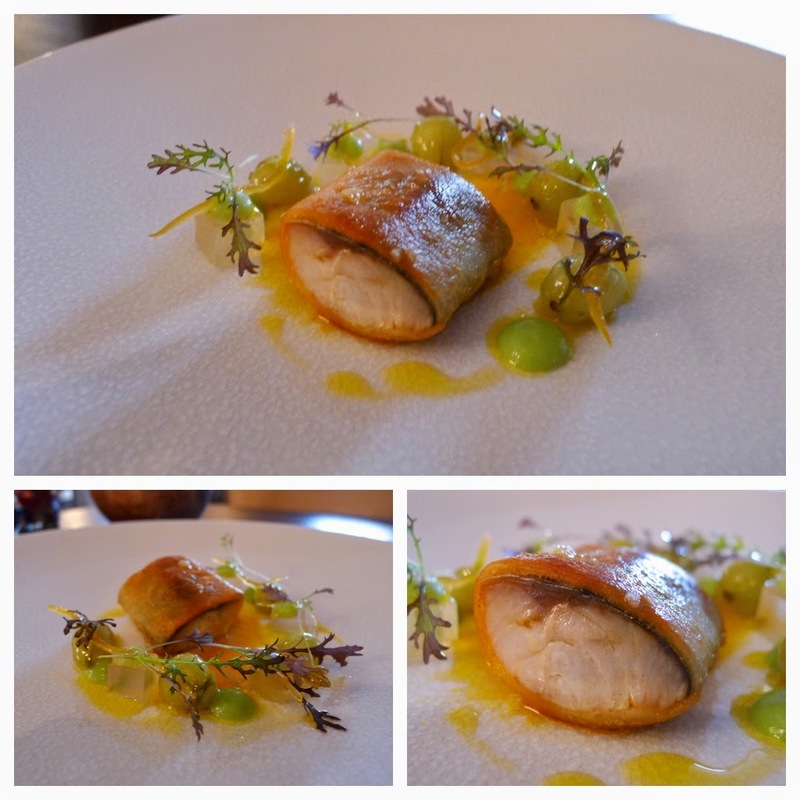 Like much of the menu, this dish at Simon Rogan’s ‘2nd Manchester restaurant’ is refreshingly creative… and delicious! 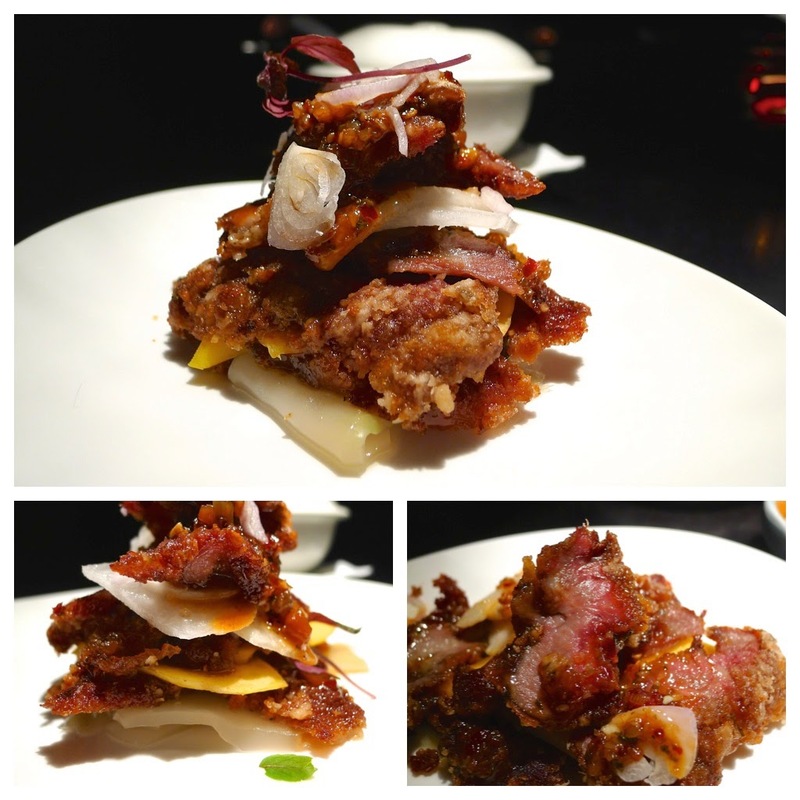 Lamb salad with spicy peanut dressing @ Hakkasan, Hanway Place (original post) – another meat dish that I recall being an absolute corker is this lamb salad from Hakkasan; a stunning synergy of flavours and textures. 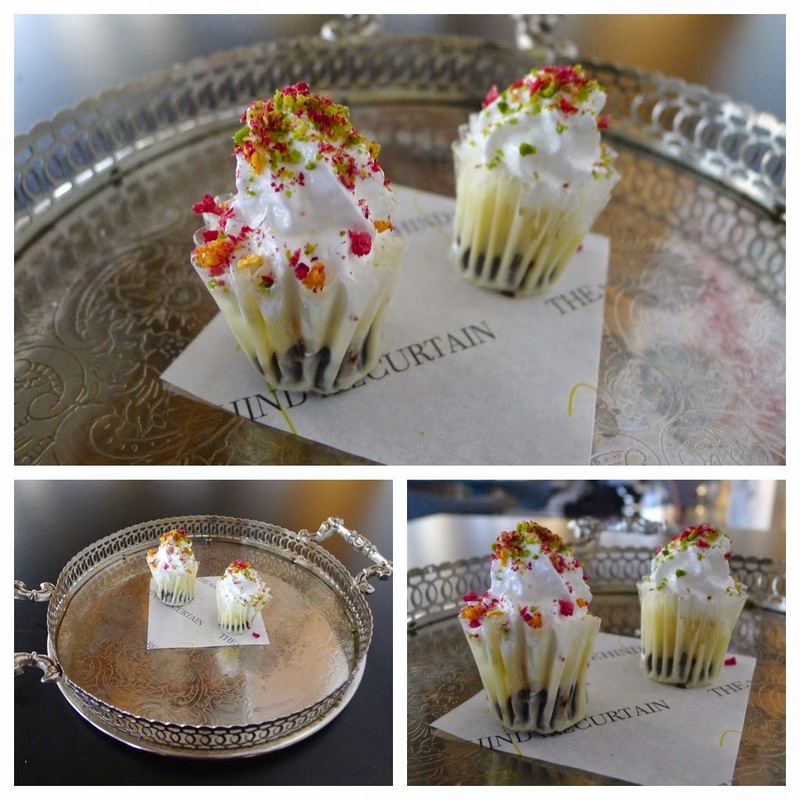 Mini Cup Cakes @ The Man Behind The Curtain (original post) – like the meat courses, not many desserts jumped out at me when compiling this post but one dinky ‘pre dessert’ stuck in my mind from Chef Michael O’Hare’s kaleidoscopic The Man Behind The Curtain. Malawi Antlers @ Fera at Claridge’s (original post) – I’m still bemoaning the number of high end restaurant that have a poor tea and coffee offering; often, even when they do have a selection of premium teas, they fail to prepare them properly. 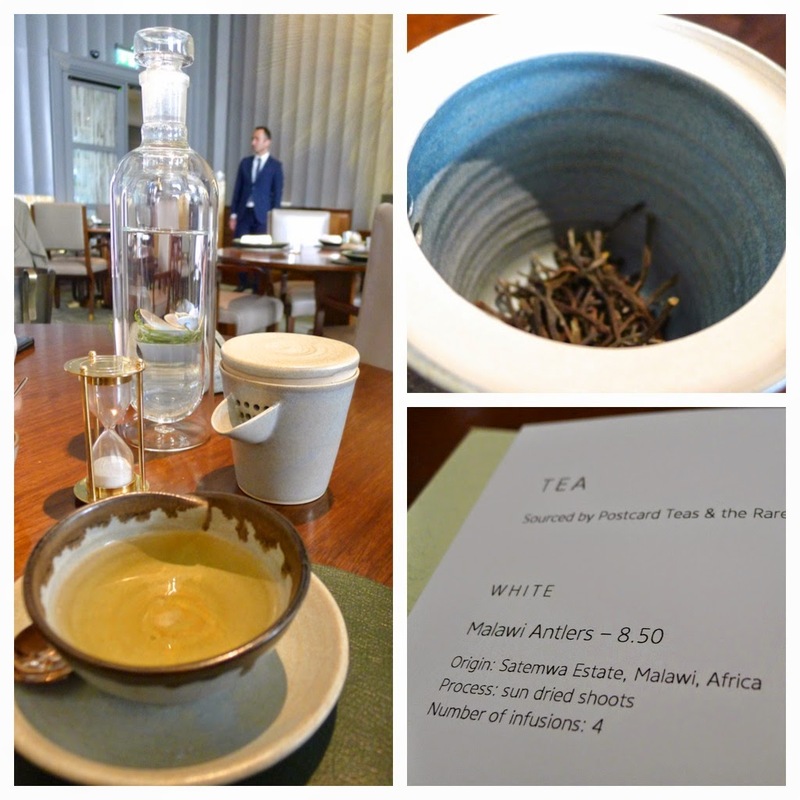 Not so at Simon Rogan’s Fera at Claridge’s – since having the ‘Malawi Antlers’ from the Rare Tea Company there, it’s now my favourite tea… for me, the discovery of 2014!